A massive complex of warehouses formerly comprising the National and American Tobacco Companies has been destroyed in West Louisville. Haven Harrington III pointed out the demolition happening at the corner of 30th Street and Muhammad Ali Boulevard on a massive 25-acre site covering several blocks in February. The group of buildings date from the 1890s and early 20th century. It turns out, though, that this demolition far from the Ohio River Bridges Project could be considered another casualty of the project. 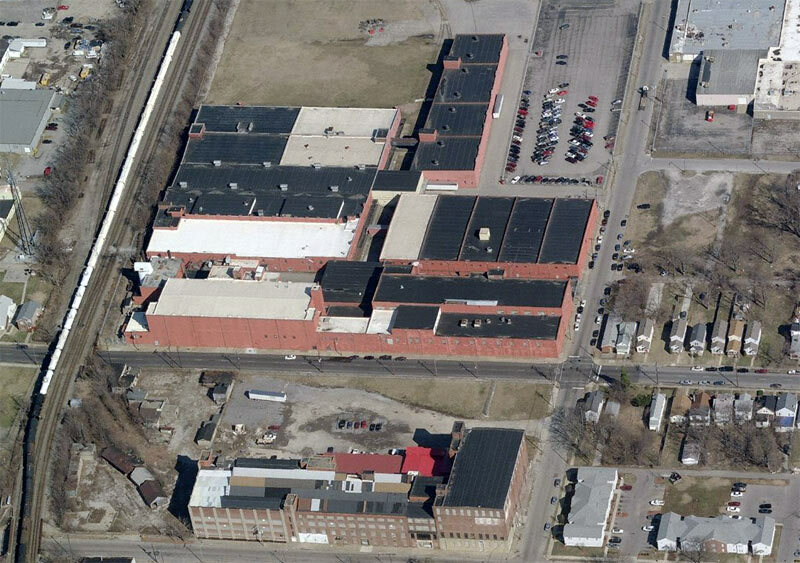 The National Tobacco Company vacated the property in 2010 after declaring the site obsolete a couple years earlier and Business First reported that Allied Ready Mix, a concrete plant and truck fleet currently located on 7.5 acres on Frankfort Avenue and Washington Street in Butchertown purchased the 30th Street site in late 2010 to create an industrial park on the site. 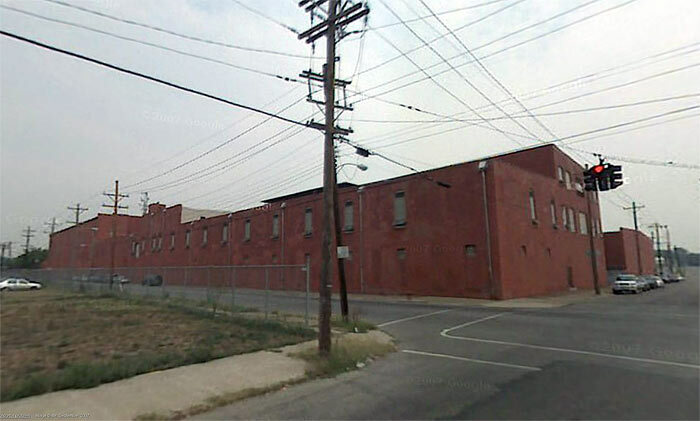 Allied had been forced to move from their former site because of the bridges project and were in negotiations with the state at the time to sell the property. Allied President Tom Allen estimated that it would cost about $17 million to move the company to their 30th Street property. Allied said back in 2010 that they planned to level the site to create a suburban-style industrial park surrounded by a berm. 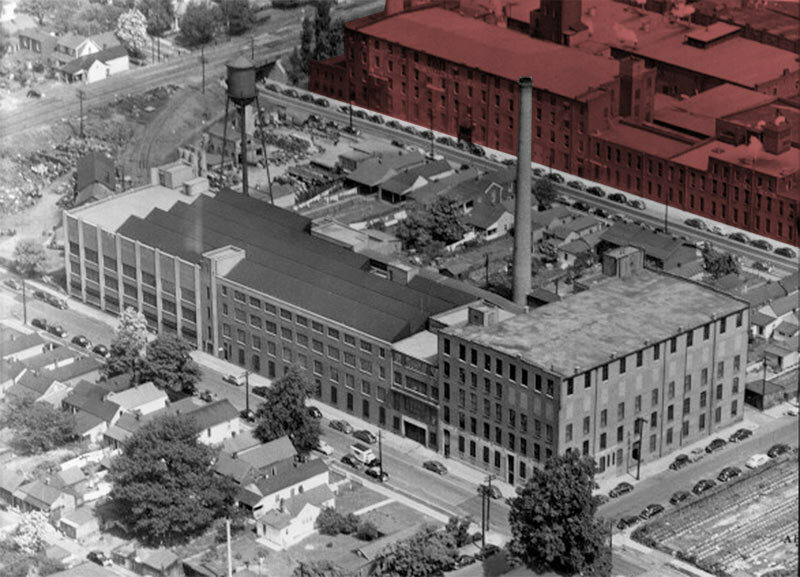 The concrete company will take 9 acres on the northern edge of the site along West Market Street long vacant and the remaining 16 acres (which contained the historic warehouses) will be marketed to industrial users attracted to adjacent rail and highway access. Of the 600,000 square feet of space located in the warehouses, only 346,500 square feet is expected to be built back. While some of the interior buildings on the site might not have been salvageable, it’s unfortunate to lose the distinct urban edge along Muhammad Ali where the larger, older warehouses once stood. Certainly this small segment on the southern edge of the site could have been incorporated into the industrial project as offices or some other use that give a real identity to the site. Then again, it’s also unfortunate that the new industrial park will turn its back on the surrounding community and continue the suburbanization of West Louisville. I can’t imagine West Louisille being any better than East St. Louis once the bridges project has begun. As great as we think we are as a community, the sad truth is that we a city of destruction and with yesterday solutions.